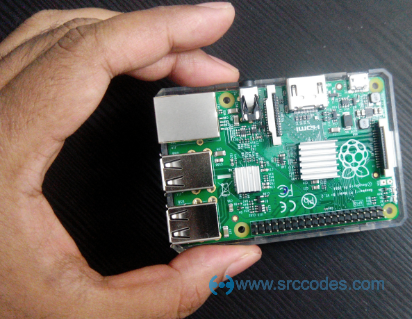 The Raspberry Pi is a low cost, credit-card sized computer that plugs into a computer monitor or TV, and uses a standard keyboard and mouse. It is a capable little device that enables people of all ages to explore computing, and to learn how to program in languages like Scratch and Python. It's capable of doing everything you'd expect a desktop computer to do, from browsing the internet and playing high-definition video, to making spreadsheets, word-processing, and playing games. What's more, the Raspberry Pi has the ability to interact with the outside world, and has been used in a wide array of digital maker projects, from music machines and parent detectors to weather stations and tweeting birdhouses with infra-red cameras. We want to see the Raspberry Pi being used by kids all over the world to learn to program and understand how computers work. Download Oracle Java ME Embedded 8 for Raspberry Pi (ARM 11/Linux) and extract to a folder (say 'C:\oracle-jmee-8-1-rr-raspberrypi-linux-bin'). appdb: Application and configuration directory. bin: contains scripts to install, run, list and remove IMlets and start AMS (Application Management System), jwc_properties.ini to change Java configuration and runtime behaviour. legal: contains terms of different licenses and Oracle legal notices. lib: contains java class files required for compilation of IMlets. util: contains proxy.jar to start Developer Agent program on the desktop. Open WinSCP and connect to your Raspberry Pi. 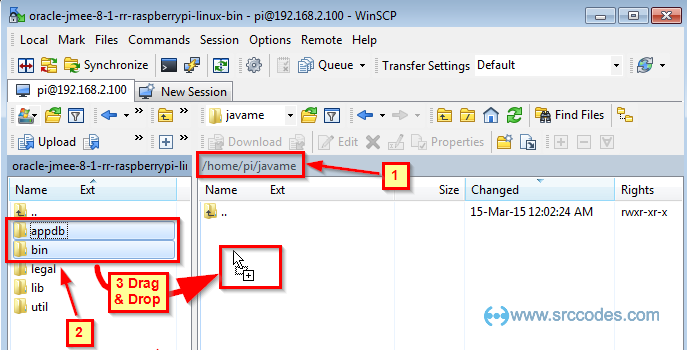 Create a directory (say '/home/pi/javame') for Java ME. Upload appdb and bin folders to Pi from local. Click open Open session in PuTTY (Ctrl+P) or from Menu "Commands" --> "Open in PuTTy". Login to Pi using PuTTY. 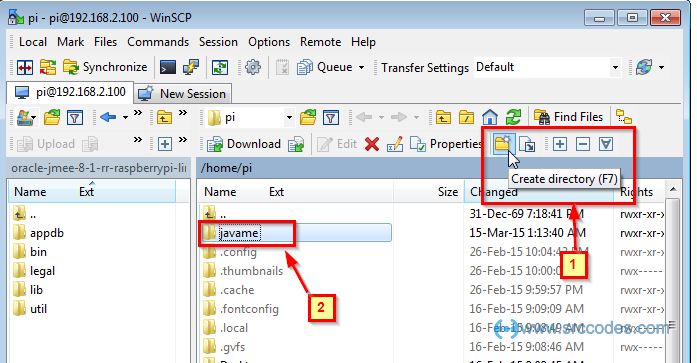 Change directory to javame/bin and check permissions of all the scripts. None of the script has Execute permission. Give Execute permission to fix_permission.sh script. Execute fix_permission.sh to fix permissions of other required scripts automatically. Once done, you don't have to use sudo to run a script. Execute usertest.sh to start the Java runtime on the Raspberry Pi and to enable access to the Application Management System (AMS). 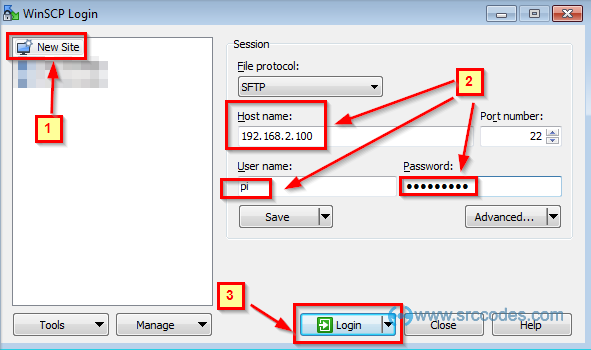 Start Developer Agent Program using util/proxy.jar on the Desktop. If everything goes well then Developer Agent Program will be able to make a connection with Raspberry Pi. Note: All communications to or from the Raspberry Pi are done through Developer Agent Program. To cross check, if we stop the AMS in Raspberry Pi, we'll see following output in the command prompt. Now start the AMS again in Raspberry Pi. This time again Developer Agent Program will make a successful connection to the Pi. This confirms both installation and configuration are done properly. How to uninstall OpenCV (Open Source Computer Vision) from Raspberry Pi - Raspbian Jessie?